Public domain image found here. Music about the spiritual sun is not constrained to the past. There are many modern day composers, groups, and artists who have also been inspired by the sun or by the ancient religion of the sun in some way. On this resource page we share music performed in a modern/contemporary style both in English and in other languages. These pieces are categorized by topic. Clicking on any of the thumbnails below will open a lightbox. The lightbox which appears will contain a brief explanation of the piece of music and an embedded video. Please note that some music videos that are uploaded by artists or their distribution company may have geographic restrictions, so may not be viewable in all countries. In these cases you may be able to listen to an audio preview using the link provided in the description. Ancient practitioners of the religion of the sun worshiped a heavenly sky father who was seen as the father of all living things and who embodied the masculine half of creation. To the ancient Proto-Indo-Europeans he was called Dyḗus Ptḗr, “the Shining Sky Father,” and was the highest and most revered divinity – the father of gods. He became Dyaus Pitar in the Vedas, Zeus (Dias) in Greece, Jupiter in Rome, Dievas to the Baltic peoples etc., and was called Atum in ancient Egypt. Taimane Gardner is a Hawaiian ukelele virtuoso player and composer, who draws inspiration from nature and the cosmos in many of her original compositions. This instrumental song called "Father Sky" comes from her album We Are Made of Stars. A heavenly sky father was worshiped by the ancient practitioners of the Religion of the Sun, who was seen as a divine father god of all living things, embodying the masculine half of creation. In the Vedas he was depicted as Dyaus Pitar, Zeus in Greece, Jupiter in Rome, Atum in ancient Egypt and Dievas by the Balts, among many others. The Spiritual Mother has been symbolized as numerous mother earth goddesses. She was often portrayed as the earthly counterpart of the heavenly sky father, and seen as representing the divine feminine half of creation. The Spiritual Mother has been deified in many different forms – as Durga to the Hindus, Ceriadwen to the Druids, Isis to the ancient Egyptians, Lada to the Slavs, etc. This song is about the divine feminine / the Spiritual Mother found in nature. 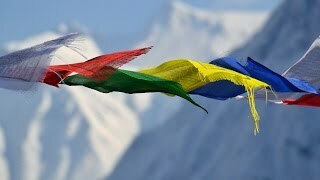 The lyrics give examples of different elements of the beauty of life such as flowing waters, meadows and forests and how the Mother Goddess is present in all of them. You can find an alternate version here. 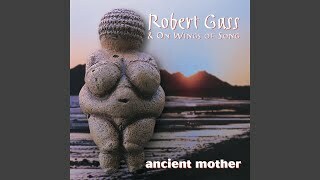 This song celebrates the universality of the Spiritual Mother who has been portrayed in many different ancient cultures. Some of the names in the song by which the Spiritual Mother are called are Cerredwin, Hecate, Isis, Coatilicue, and Kali. You can find an alternate version here. 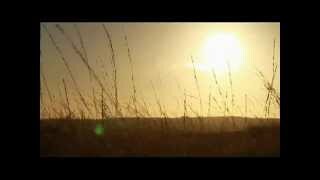 The is a contemporary Slovak song celebrating the Spiritual Mother and her creation. 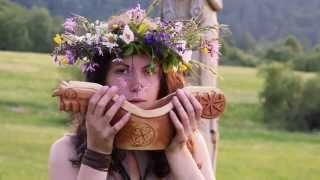 It is a part of the movement to revive the native Slavic spirituality in Slovakia, and some of the scenes in this video were recorded during the celebrations of the summer solstice (such as the image of the sun rolling down the hill). The lyrics of the song describe all the things that Lada (a representation of the divine feminine) creates and has under her control, like the smell of flowers, living waters, the ripening of fruit, and energy of stones. The chorus says, “To všetko tvorí Lada,” meaning “All this is created by Lada,” sometimes exchanging the word “Lada” for “Láska” (Love). Gaia (also spelled Gaea, or "Gäa" in German) is the ancient Greek depiction of the Spiritual Mother. Throughout history, the Spiritual Mother was depicted by various mother goddess or mother earth deities such as Durga to the Hindus, Ceriadwen to the Druids, Isis to the ancient Egyptians, Lada to the Slavs, etc. 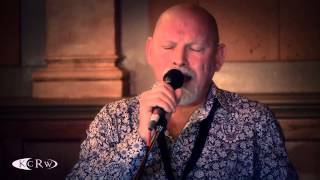 This song is by German singer and songwriter Oonagh. Note there is a different distributor for Oonagh's music depending on where in the world you are, so if the video doesn't play, view it here). Gaia, Gaia, Gaia - Voice of (all) voices, show us the way You weave the world until the end of time. The full lyrics translated into English can be found here. 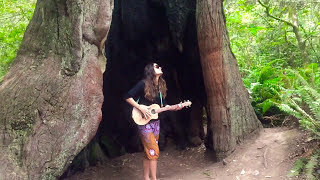 This is a beautiful new song she has recently introduced on her YouTube channel titled “Mother (Earth),” where the lyrics reference Mother Earth and the timeless lessons that can be learned from life by being open and observing of nature. The Spiritual Mother is one part of the trinity of the forces of creation and is also a higher aspect of each person’s Being, which is central to the Religion of the Sun, and as such has been depicted and celebrated in many different traditions and parts of the world where the lost civilization of the sun had a presence. 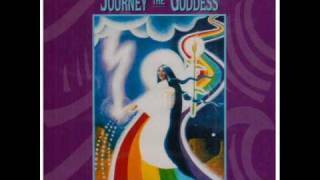 "Song to Inanna" is a song by Lisa Thiel from her album Journey to the Goddess. "The Mother is the giver of nature, the physical body, matter, and the subconscious, symbolized by the growing darkness following the summer solstice, which the consciousness enters into when joining the process of life. Her womb is the earth, and so even the underworld forms part of the learning she provides in the cycles of life and nature." If the video doesn't work in your region, an alternate version of the song can be found here. 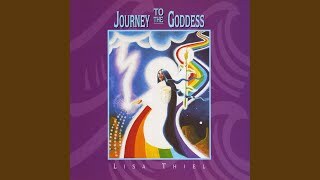 "Warrior Goddess" is another song by Lisa Thiel from her album Journey to the Goddess. "The Mother goddess in her role as a warrior has been illustrated by different cultures around the world with amazing similarities, showing the universal nature of her existence and one of the parts she plays in creation, which has been associated with the autumn equinox since ancient times. The warrior goddess in me. 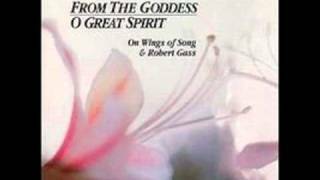 This song is by Robert Gass from his 1989 album From the Goddess / O Great Spirit. It celebrates the universality of the Spiritual Mother who has been portrayed in many different ancient cultures. It is almost like a mantra with much repetition of the names from various cultures for the Spiritual Mother. Some of the names in the song by which the Spiritual Mother are called are Isis, Kali, and Inanna. "Hymn do Żywy" (Hymn to Živa) is a Polish song by the band Lelek, and the lyrics by Wsiesław Sannikow. The video tells the story of modern people (i.e. for example in Poland or other countries) on a journey to search for meaning in their lives and to find their roots. Tyś matka nasza, a ojciec nasz jest Rod. O Żywa, Żywa, od Mary bronisz nas. O Żywa, Żywa strzeż nasz słowiański lud! You are our mother, and our father is Rod. O Żywa, Żywa, you defend us from Illusion. O Żywa, guard our Slavic people! She was worshiped throughout what is now Poland, Czechia, Slovakia, and Germany (and especially the Elbe (Labe) river valley), before Christianity expanded into the area. Her name means "living, being, existing." Živa is mentioned in The Baptism on the Savica, an epic-lyric poem by the Slovene national poet France Prešeren. A solar hero is central to much of ancient mythology – usually experiencing major life events at the solstices and equinoxes, his life followed the path of the sun. Examples include Horus of ancient Egypt, Quetzalcoatl of the Maya, Dionysus of the Greeks, and later Jesus. Enigma are a German musical project that was founded in 1990. Their track, The Child Within Us, is a song about the spiritual child – the Christ, the spiritual sun/son – that can be born within us. The Child Within Us begins with Sanksrit and Latin verses before moving into English. 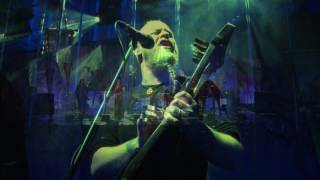 This is a live performance by the band Faun of their song called "Odin." Though a German band, it’s sung in Icelandic, which is the language that much of the surviving mythology about Odin is written in. I took up the runes, screaming I took them,then I fell back from there. This overall feeling of the song touches upon the epic psychological struggle a person goes through on this difficult stage of the spiritual path internally, and the darkness of the underworld they would need to face. Both Odin (being hung from the world tree) and Jesus (in the crucifixion) represent this stage of the journey in the events of their lives, before being resurrected. Co-author of The Path of the Spiritual Sun, Lara Atwood describes more on how this relates to the spiritual path and is represented by the autumn equinox in her post on the song here. "Song for Odin" was originally written by Karl Donaldsson. 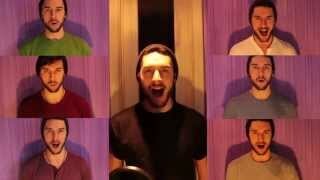 This is an a cappella adaptation by Brazilian singer/songwriter Pedro Costi, who goes by the name Alchemical Poetry. The song's lyrics cover a lot of different aspects of the mythology around Odin that Lara Atwood mentioned in her video on Odin on Sakro Sawel, for example Odin as the wanderer, being hung from Yggdrasill the world tree for nine nights, and gaining runes that he gave to humanity. It also mentions the Ragnarók and some other interesting symbolism. Note however that the mythology of this song is based upon Norse mythology that was passed on orally, and which was written down much later, after Paganism was replaced by Christianity. It's therefore unreliable and can contain distortions such as some of the versions the stories referenced in the song, yet nevertheless also contains some remnants of the spiritual knowledge and mythology as mentioned above. The full lyrics can be found in the video description on YouTube. These songs each celebrate the Spiritual Sun in some way. The song "Children" (otherwise known as "Children of the Sun") is from the album Stream released by Twarres, a folk / pop band from the Netherlands. For more details, read the post about this song here. 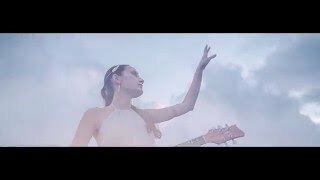 "Modlitwa Słowiańska" ("Slavic Prayer" in English) is a song by Sati Sauri, a Polish singer, composer, and violinist who creates inspiring music based on her interest in Slavic traditions, as well as Indian, and Celtic cultures. 1. O Earth, my Earth, Mother of all creation. Reveal to us the story of your being. O wind, carry it, carry to all people. May their hearts finally awaken. 2. O Land, my Land, our great fathers lived here. They lived in harmony with nature, the rhythm of the sun and the moon. They danced with the fire in the starry nights, they wielded wisdom of the Slavic gods. 3. O Land, my Land, my blood is mixed with your blood. It flows, still flows from the source to the ends of the world. Carry me, carry me through the life, mark the way for me with your heartbeat. 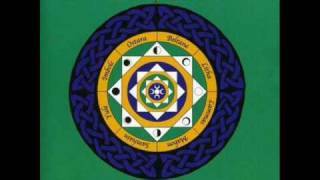 Mabon (Autumn Equinox Song) is a song from Lisa Thiel's album, Circle of the Seasons, and it explores the "time to descend." As Belsebuub and Lara Atwood point out in their book The Path of the Spiritual Sun, the autumn equinox is the point from which night becomes longer than daylight, and thus darkness becomes greater than light in the year. It represents the principles of inner death and descent, which is the descent into the darkness of the subconscious (symbolized by the darkness following the autumn equinox and descent of the sun) in order to eliminate the egos like greed, hatred, envy, and lust within it. The full lyrics can be found in the video's description on YouTube. 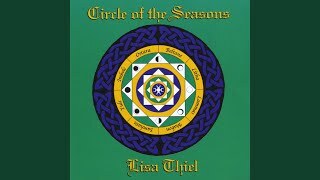 Yule (Winter Solstice Song) is part of Lisa Thiel's 2004 album Circle of Seasons. If the video is not available in your country, you can listen to a preview of the song here. The lyrics are available at Lisa's website here. Litha (Summer Solstice Song) is a song from Lisa Thiel's album, Circle of the Seasons, and it explores the power of the sun/fire as a guiding force within. The lyrics capture how the spiritual sun/son (a higher spiritual aspect of a person’s individual being) helps a person reunite with divinity on the path to enlightenment. The summer solstice is the time of greatest light in the year, with the sun reaching its highest point in the sky. On a spiritual level, this special time is symbolic of spiritual ascension, attaining enlightenment and reuniting with the divine. 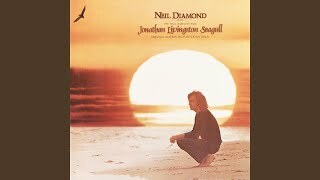 This song was made for a film called Jonathan Livingston Seagull, which was based on the book by the same name by Richard Bach. Another version can be found here. The song "Children of the Sun" by Dead Can Dance is available on their album Anastasia. The song is all about the "children of the sun," which practitioners of the ancient Religion of the Sun were often referred to in various different cultures. The full lyrics can be found here. This resource page is an ongoing work in progress. If you know of any modern music which is related to the spiritual sun in some way, please let us know by posting it in our Music and Mantras forum section.